You may think that it is going to be more difficult to get in the nutrients you need as you age but it doesn’t have to be. You can still get the nutrients needed no matter what age you are. You can stay fit and eat right. When you age, your body will need different things. You can talk with your doctor about your specific varying needs. You may have certain health conditions that require certain dietary needs. Today you will learn about some of the main nutrients needed even as you age and how you can get them. Just know that some of these may be more important than they were when you were younger. As you age, you will need many nutrients that you needed before and some will be more important than ever. When you get older, you are going to need more Vitamin D and Calcium than you did earlier in your life. These are going to keep your bones going strong. You should make sure you have 3 Vitamin-D fat-free or low-fat servings each day. You can get this through yogurt, milk or something else. You need to boost your calcium intake as well. You can do this by getting more leafy greens, fruit juices, fortified cereals and canned fish. You may need to take calcium or Vitamin D supplements. This is something you may want to ask your doctor about as well. 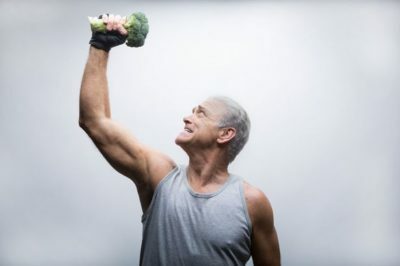 There are too many older men who aren’t getting enough of the Vitamin B12. If you aren’t sure how to get enough of this vitamin, keep reading. You can start by eating more fish, lean meat and fortified cereals. These are some of the easiest things to add to your meals. You may want to speak to your doctor to see if you should be taking this type of supplement. Each day you need to be taking in enough fiber, especially as you age. You need to keep your weight managed, keep preventing type-2 diabetes and heart disease as well. How are you going to get enough fiber? You should eat more peas, beans, whole-grain cereals and breads, vegetables and fruits. Fiber is going to keep you strong and healthy. You will need to get enough potassium as you age. This is going to help in the preventing of higher levels of blood pressure. It is quite easy to make sure you get enough potassium. As long as you are eating yogurt, fat-free or low-fat milk, vegetables and/or fruit each day, you will be fine. You should also make sure you are choosing foods that are not prepared with salt. There are bad fats and you likely already know that. As you age, you need to make sure you are taking in the right fats. You need food that is lower in trans-fats and saturated fats. These are the foods you need to lower any risk of getting heart disease. Many fats that you eat will be bad for you. If you see something with monounsaturated fats or polyunsaturated fats, these are not good for your health. Make sure you are reading all food labels before you buy something to make sure they are low in the unhealthy fats or free from them is even better. You should look for the food labels with healthier fats instead. As you age, there are certain health conditions you will need to work on preventing. There are different health needs you may have that you didn’t have when you were younger. 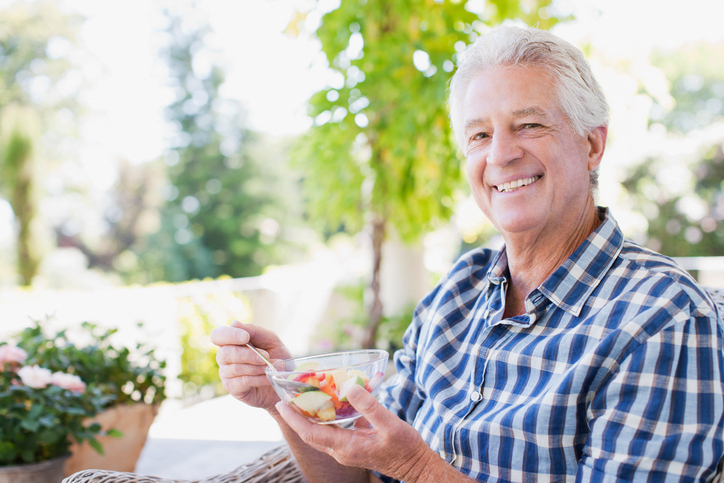 As long as you are making sure you get the right nutrients as you age, you will be alright. Getting each of the above nutrients each day will help you stay healthy.